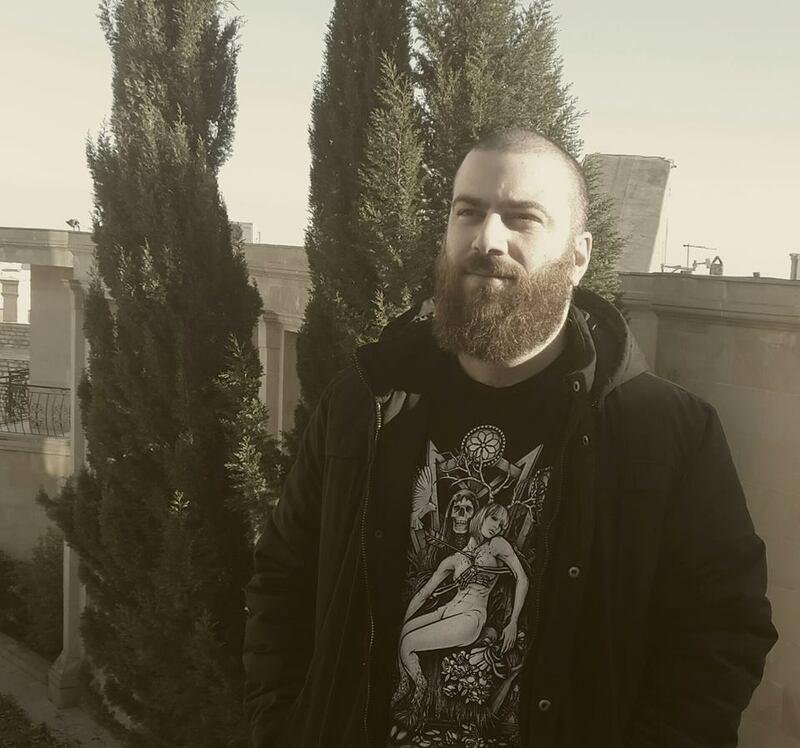 Violet Cold is a one-man atmospheric black metal/ambient project from Azerbaijan. Last year’s Magic Night was a big hit with many atmospheric black metal fans and Emin has put out another incredible album this year wasting no time at all. 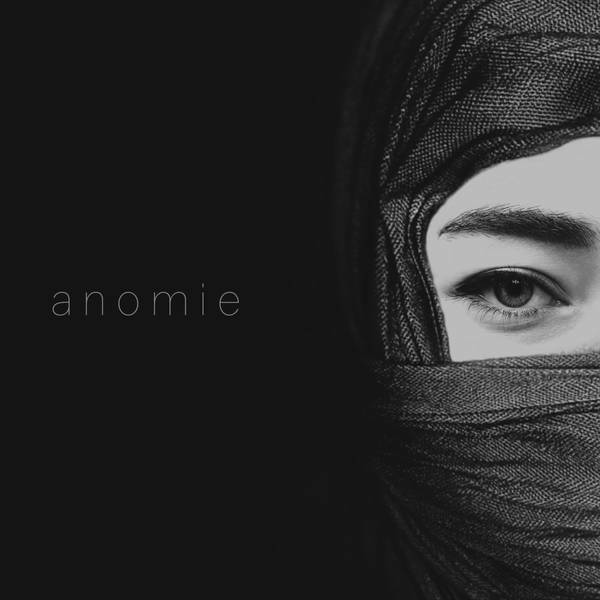 Anomie has all the beautiful guitar melodies and atmospheric keyboards of the previous album but the sound feels more fully realized. It is definitely more black metal than ambient but it has not lost any of the ambient elements that made Magic Night such a joy for the listener. The riffing primarily consists of dissonant tremolo picking but it is always packed with melody and helps to create the beautiful and often somewhat pleasant atmosphere that permeated this album. Violet Cold also occasionally throw in heavier, more hard-hitting riffs when called for, keeping the listener on their toes. The guitar melodies are gorgeous and often uplifting, like the one that opens “She Spoke of Her Devastation.” The closing track actually features a significant amount of heavy riffing, which is a nice change of pace from all the tremolo picking. There are a few brief folk sections on this album that are brilliantly weaved into the harsh, somewhat dissonant but also uplifting sound that is a real treat for the listener. The biggest of these is in the middle of the title track, starting with haunting flute immediately followed by slow middle-eastern percussion. The track builds up as acoustic guitar and tambourine are weaved into the sound and finally some atmospheric keyboards come in to fill out the sound. A lovely guitar melody comes in followed by a few crunchy riffs and hard-hitting drum fills before the track kicks back into high gear. The nice thing though is that the folk instrumentation never goes away. It remains a key part of the atmosphere for the rest of the song. The drumming is pretty varied with blast beats, punchy fills and oddly enough, triggered double kick. He used triggers this time around which is odd because normally, they would be a big no-no in this kind of music. Somehow, he makes them work to his advantage and they wind up enhancing the overall sound. There is plenty of relentless blast beat/double kick but the fills, percussion and rim drumming are what stand out as unique and add to the stunning atmosphere of the album. Emin’s variety as a drummer is best showcased on “Escape From Dreamland,” which has the best fills of the album as well as great feather-like cymbals. It has plenty of relentless blast beat/double kick and it is louder and more explosive than at any time on the album. Plus, it is backed by great, sporadic rim hits and a fantastic alternating march in the opening minutes. The vocals are the typical distant, tortured screams of the genre and they work extremely well. They are perhaps more distant than is the norm but that works to their advantage by adding to the atmosphere. You cannot really hear any of the lyrics but they are in Turkish anyway so even if you could hear them, you would still have no idea what he is actually saying. Lastly, we come to the keyboards. This is the strongest and most diverse instrument in Violet Cold’s arsenal. At different times during the album, the keyboards sound haunting, harsh, pleasant, uplifting, and even a bit whimsical during the folk sections. The ambient sections on this album are very pleasant too. 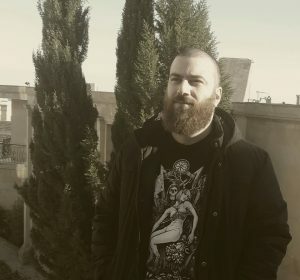 All told, Violet Cold is one of the most exciting new black metal projects to come along in recent years and we can only hope they continue to make beautiful music. This entry was posted in Black Metal, Featured Review, Reviews, Unsigned Reviews and tagged 2017, ambient, Anomie, atmospheric, Azerbaijan, black metal, featured, Folkvangar Records, reissue, Unsigned Reviews, Violet Cold.